Allen Stone and Niko Stoenescu were looking for ways of making their cars safer and more secure. They both had been in car accidents and Allen had had his car broken into on multiple occasions. 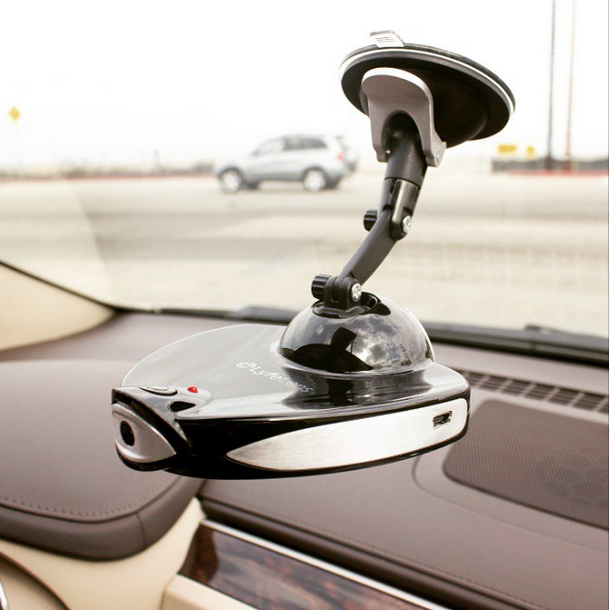 Their brainstorming led to the creation of LyfeLens, a dashboard camera that links your car to your smartphone. With real-time alerts sent straight to your phone, the HD-dual view cameras let you know what’s going on in and around your car even when you’re not there. After receiving positive feedback from their friends and family, Allen and Niko decided to jump in with both feet and started developing a product that would not only protect new cars, but could be fitted to any vehicle on the road. The pair have spent the last twelve months working on LyfeLens. The first two quarters centred on proof of concept and market validation, whilst now they are focussing more on product development, marketing and launching for pre-orders. As the company continues to build momentum, Allen and Niko point to their contacts as one of the key factors in their growth. “One of the major contributing factors to our rapid progress has been finding partners, advisors, and contractors to fill in gaps where we lacked expertise and empowering them to give us honest and direct feedback and insight,” they say. Together, Allen and Niko have a wealth of entrepreneurial experience behind them. Allen has spent more than eight years building teams and launching new products in various industries across both startups and established corporations. Meanwhile, Niko (a graduate of Dallas Baptist University) brings to the table years of experience in sales, marketing, management, business development and more. Since joining together to form the formidable team behind LyfeLens, they have learned even more. “One of the most important things we’ve learned is that you need to expect the unexpected,” they say. “It is important to plan, but that will only get you so far in launching your startup. A lot of things that you couldn’t foresee will come up that will completely shift what you thought you had planned.” The important thing, they say, is to “be prepared to think on your feet and to spend a lot of late nights course correcting and adapting, but most of all enjoy the ride”. Those late nights seem to be paying off: the future looks very bright for LyfeLens, with several big opportunities on the horizon. As they come to the end of their product development and focus on fulfilling pre-orders, LyfeLens are on their way to becoming an industry leader. For budding entrepreneurs who want to emulate their success, Allen and Niko have one final piece of advice: “Go for it. Whatever it is that you want to make happen, just go for it. Spending 1 hour actually doing something to further your goal is worth 100 hours of planning what you are going to do. Sure, there are risks in launching a business but there are also risks in staying at a job you hate just to make a pay cheque. The best thing you can do is do”. LyfeLens has received feedback and support as a promoted square on IdeaSquares. Click here to view their square, or email info@ideasquares.com to find out more about our promotional service. This entry was posted on June 1, 2015 by / in Entrepreneurs, Startups and tagged entrepreneurs, LyfeLens, Spotlight, startups.